Pay Invoices With Cash, Check, or Subsidy During and After Creation! 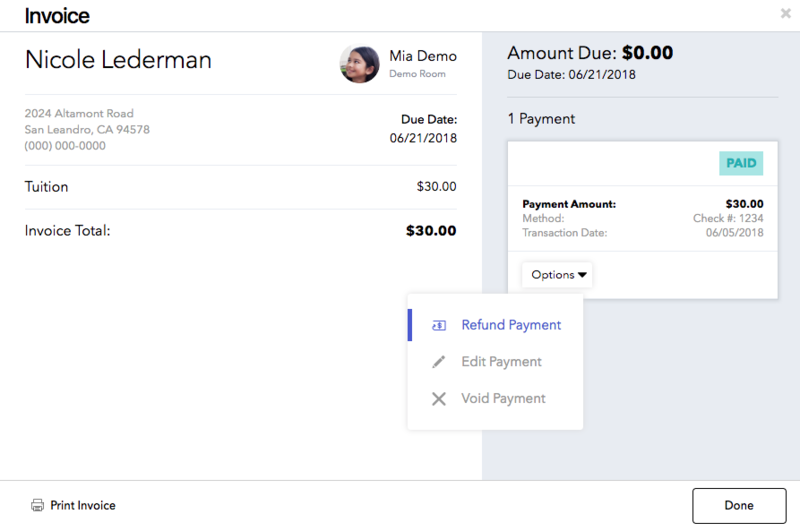 Once you have completed the first few steps in creating an invoice which can be found here, you will then have the option to pay off the invoices before completing the creation process! 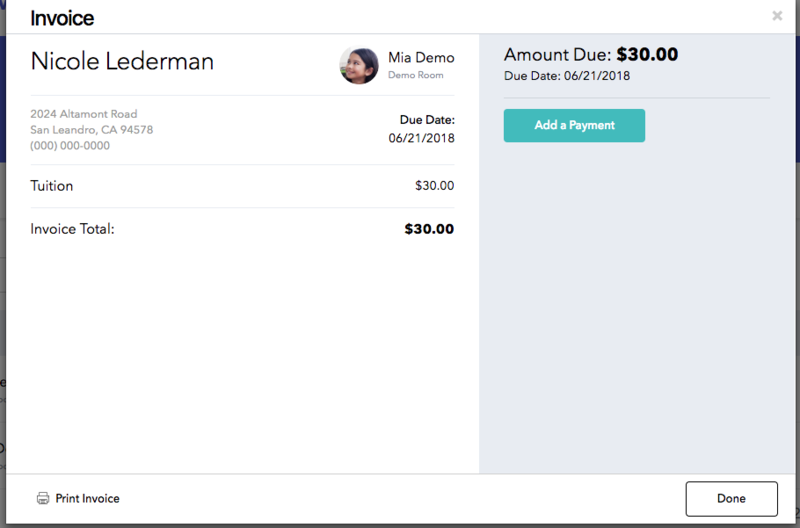 This is the best way to manage payments received from parents offline via cash or check. Confirm that the correct student has been selected, then select "Paid offline by cash or check" and the select "Send Invoice". This will trigger a receipt to the parent so they have a record of the payment. When you find the correct invoice, you will select Options and Manage and then select Edit Payment. In the next screen you can select Cash, Check, or Subsidy and indicate a Check Number as well as any notes you may need. 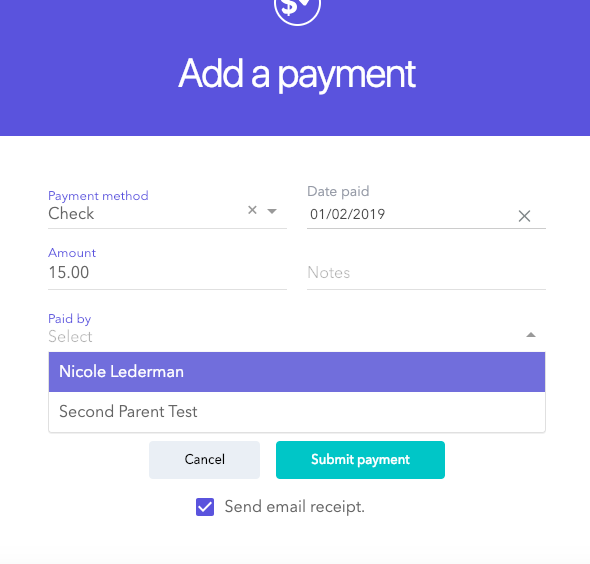 NOTE: You can now choose which parent to apply the payment for. 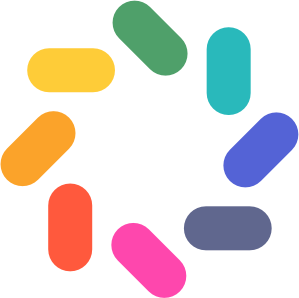 This will create accurate end of the year reporting come tax time! 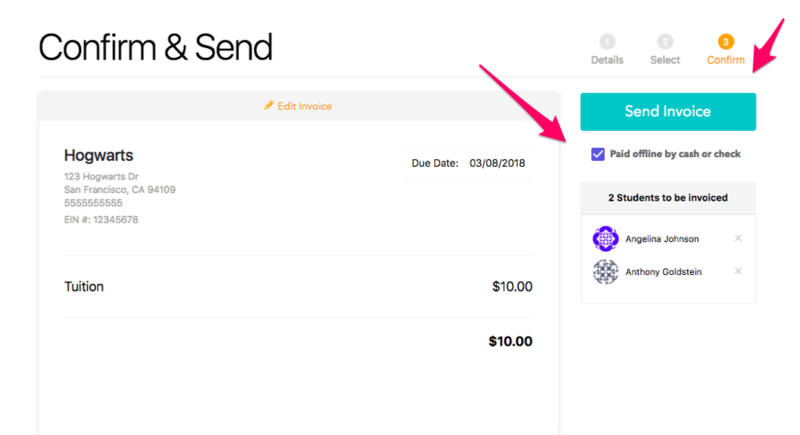 You also have the option to uncheck the "send email receipt" box so that an email is not sent to the parent upon submitting payment. You can then enter the payment details as you would above! Want to apply a partial payment to an invoice as an administrator? See this article! Need to be able to edit the status of invoices paid with cash or check? (For example: "This was marked paid accidentally") See this article!